According to the American Dental association, the average person should be brushing their teeth at least twice a day for two minutes at a time. If you struggle to maintain your oral hygiene, or if you feel that your old manual toothbrush just isn’t cutting it, then it may be time to invest in an electric toothbrush. There are over 70 different brands of electric toothbrushes out there, so how do you know which is best? Are electric toothbrushes really helpful? Which brand is right for you? This guide will help you compare electric toothbrushes and discover why they’re worth the investment. Although there are many brands of electric toothbrushes out there, there are certain key factors that can qualify them as bad or good. Certain brands may not live up to the American Dental Association standards, and there are certain reasons why. Here is a list of the key features to look for when comparing electric toothbrushes. • Comfortable grip. This should go without saying. An electric toothbrush needs to be easy and comfortable for an adult to hold while brushing their teeth. • Small toothbrush head. Although some brands sport large toothbrush heads that may seem more appealing, they are actually much less effective than small toothbrush heads. A smaller head is much easier to maneuver within the mouth and can reach difficult places to remove plaque and tartar more easily. • Head compatibility. While small heads are better, that doesn’t mean you only need to use one. You should invest in an electric toothbrush that can be equipped with different types of bristles to help your specific needs. Those with braces, for example, would require special bristles.Read my earlier post on toothbrush heads. • Two-minute timer. Compare electric toothbrushes with timers to those without, and you’ll see that those equipped with a timer prove a more effective brush. This can help you keep track of your time spent brushing. • Long battery life. You shouldn’t have to be charging your electric toothbrush every day. • Warranty. Invest in a toothbrush that comes with a two-year or more warranty, in a case of unexpected damage. • Rotating-oscillating vs. sonic. There are two different types of movable head parts that can be advantageous depending on your needs. The oscillating toothbrush is a smaller and rounder head that turns quickly in one direction and then the other toothbrush heads. The sonic toothbrush is shaped like a regular toothbrush head and vibrates from side to side very quickly. Is an Electric Toothbrush a Worthwhile Investment? Electric toothbrushes are absolutely a worthwhile investment. Studies across several research platforms have concluded that electric toothbrushes are linked with much greater reductions in plaque than manual brushes. Power toothbrushes can get the job done much more effectively. Electric toothbrushes are helpful in a variety of ways. Not only are they useful for the greater reduction of plaque and bacteria, but they are great for persons with disabilities or health conditions as well. Those with arthritis, for example, have a much easier time with an electric brush since they don’t have to use their wrists to manually scrub their teeth. Likewise, those who tend to brush too hard may also benefit from an electric toothbrush, as many come with pressure sensors to prevent damage to the gums and the enamel. 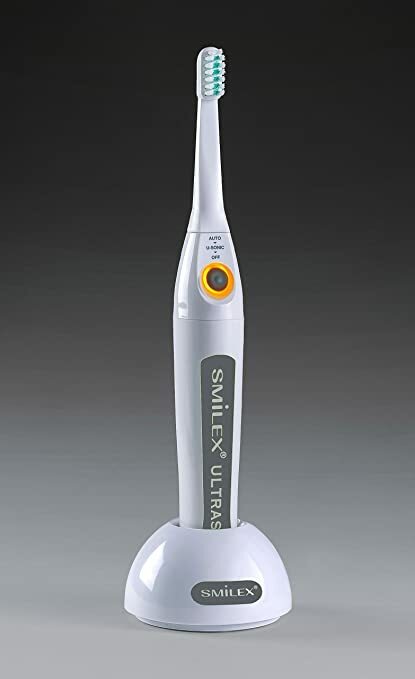 Depending on the brand, most electric toothbrushes are extremely cost effective. When you compare electric toothbrushes, it’s important to consider what you’re getting for the price. Some battery-powered electric toothbrushes are only a few dollars more than a manual toothbrush, whereas the higher-end rechargeable models go upward in costs. The benefits are worth the extra expense, as they provide more health and comfort advantages than a manual brush. Unlike what you`ve always believed, you`ll be surprised to know that there are some battery-powered electric toothbrushes that are only a few dollars more than a manual toothbrush, whereas the higher-end rechargeable models go upward in costs. The benefits are worth the extra expense, as they provide more health and comfort advantages than a manual brush. • ADA seal of acceptance. • Different brushing modes and intensities. These are the top factors to consider when comparing electric toothbrushes. After finding the best model that suits you, you’ll find that the health and comfort benefits far outweigh those of a manual toothbrush. Overall, you’ll see why the electric toothbrush is a worthwhile investment. 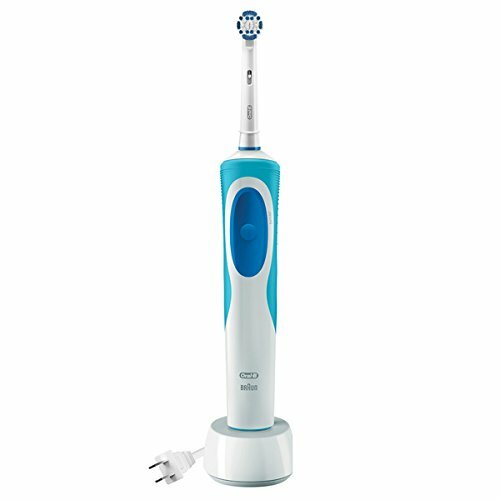 The best place to buy electric toothbrushes is Amazon as they have a wide selection to choose from and also offer free shipping. 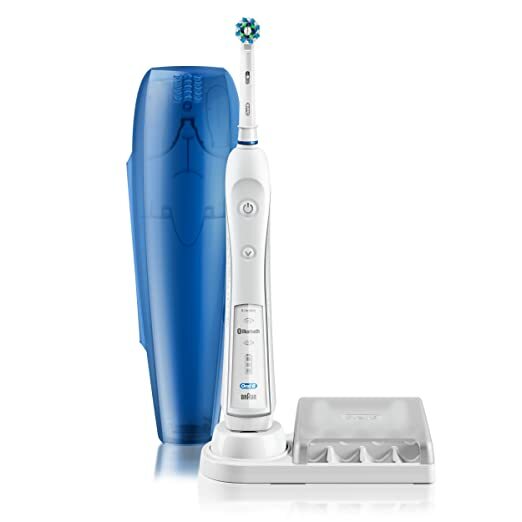 Would love to hear how you choose an electric toothbrush, what is a must have? leave me a message below.